Testosterone boosters derived from natural substances are the subject of groundbreaking research from Gamma Labs on the health benefits of safely elevated testosterone levels. 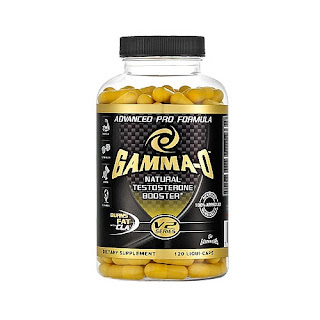 Gamma Labs is an athletic supplement company founded in 2004. Gamma oryzanol (Gamma-o) remains the primary substance in the all-natural Gamma-O V2 Series Natural Testosterone Booster recently introduced by the company. Aside from increases in muscle strength and endurance, an array of benefits spanning mood enhancement along with antioxidant boosts indicate the expanding context of testosterone boosters as solely bodybuilding products. The evolution of Gamma-O has paralleled the growth of testosterone boosters, albeit over a longer time frame. Originally used to calm anxiety in 1950’s Japan, the substance is now shown to be effective in naturally boosting testosterone levels while fighting free radical damage from environmental exposure. The Gamma-O V2 Series features enhanced potency through research on the effects of hormone optimization on muscle building. The natural substances of maca root powder and indole 3-carbinol help users realize multiple health benefits aside from increased muscle mass. Commonly hailed as a ‘superfood’, maca root powder aids in raising testosterone while also balancing hormones for mental and physical stress defense, as noted by the Gamma Labs website. Improved sexual performance and sense of well-being complement an increase in energy that facilitates greater workout intensity.